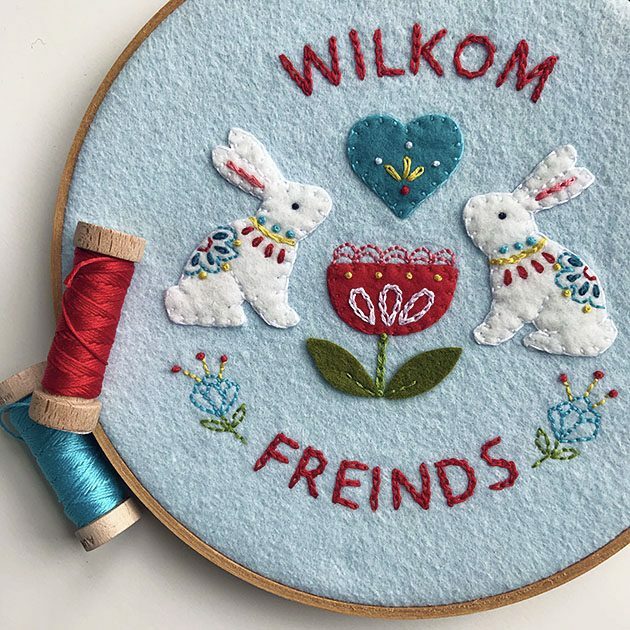 Let’s talk about embroidery floss! There are many different brands and types available. I’ll share what I use most often in my work. Most people are probably familiar with DMC 6 stranded floss that comes in these little skeins. I love them because they come in such a wide range of colors and they are very affordable. Plus they remind me of making friendship bracelets when I was a kid. 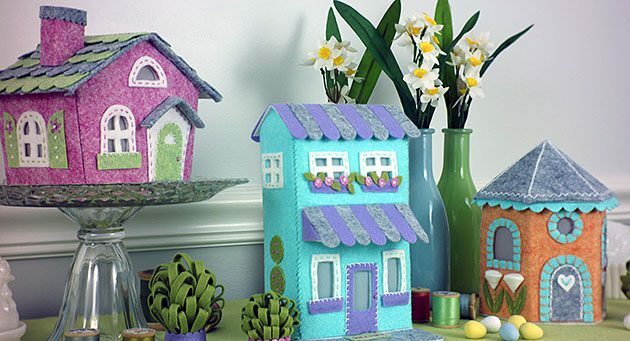 DMC floss is what we’re using to stitch the details in the Lil Felt Village Make-along Club. 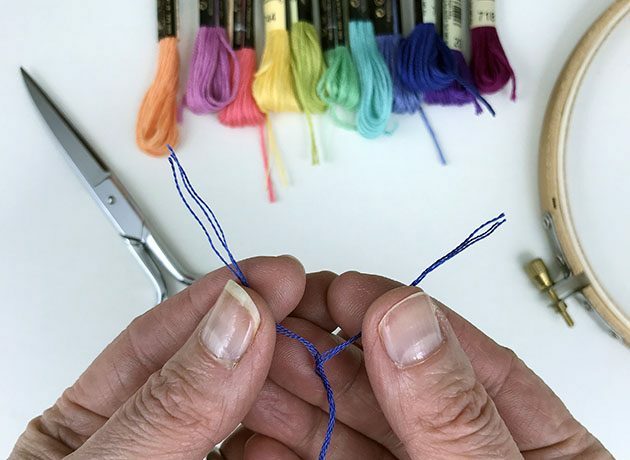 6 stranded floss is versatile because you can separate the strands. That way you can make your stitches thin or thick depending on how many strands you’re using at a time. I usually divide my floss into 2 lengths, 3 strands each. What to do with the strands you’re not using? You can wind them onto a floss bobbin to keep the floss tangle free until you’re ready to use them. Mine often accumulate into a birds nest on my desk…but that’s not something I recommend! 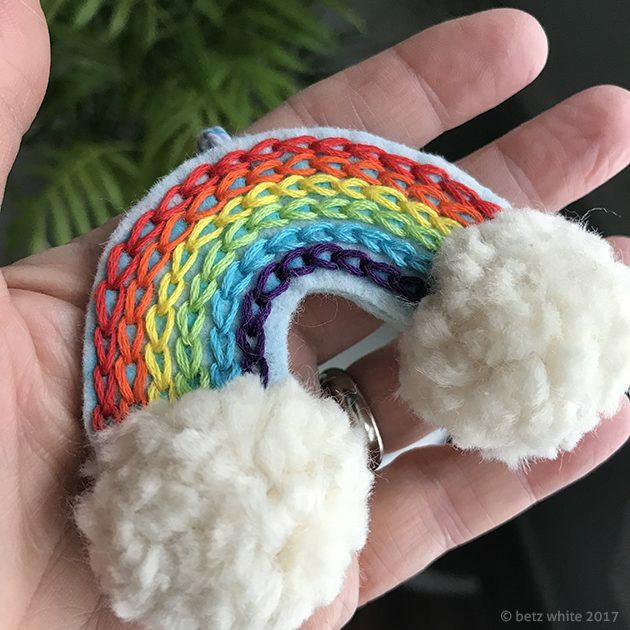 Sometimes if I want the stitching to be extra bold, I’ll use all 6 strands at once, like this Rainbow ornament (free tutorial)! 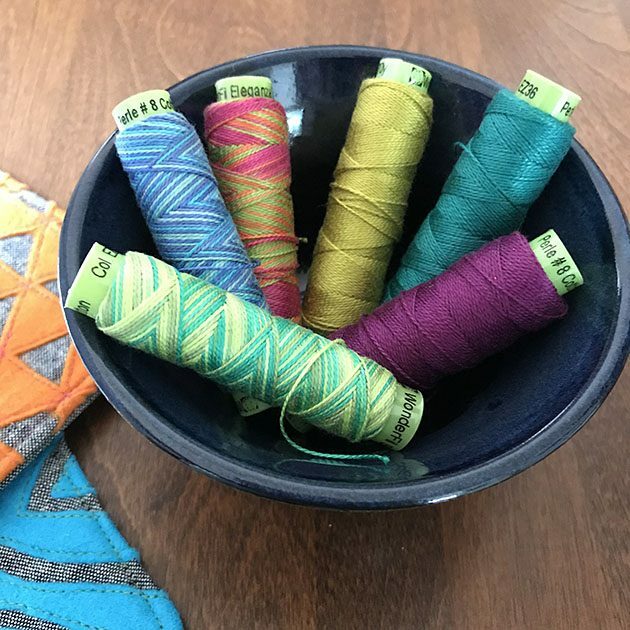 Aurifil “Aurifloss” is priced higher than DMC, but the floss is amazing and I am in love with the spools! Aside from the cuteness factor, the end of the spool let’s you tuck in the end of the floss to keep it from unwrapping. 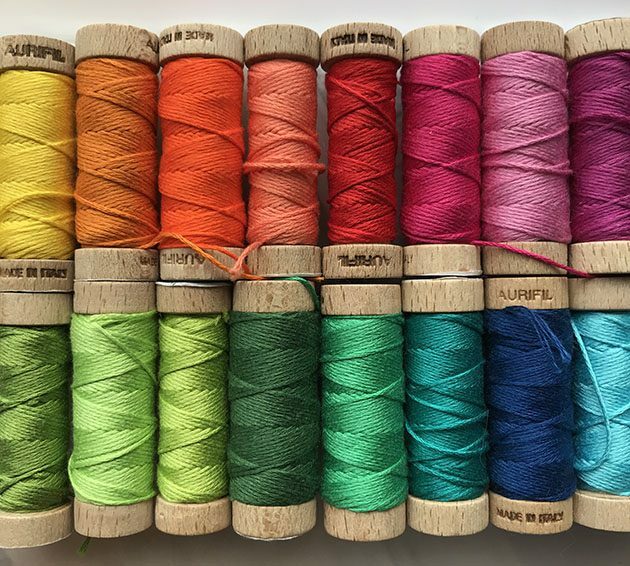 Also, beautiful 100% cotton satiny colors! Made in Italy. 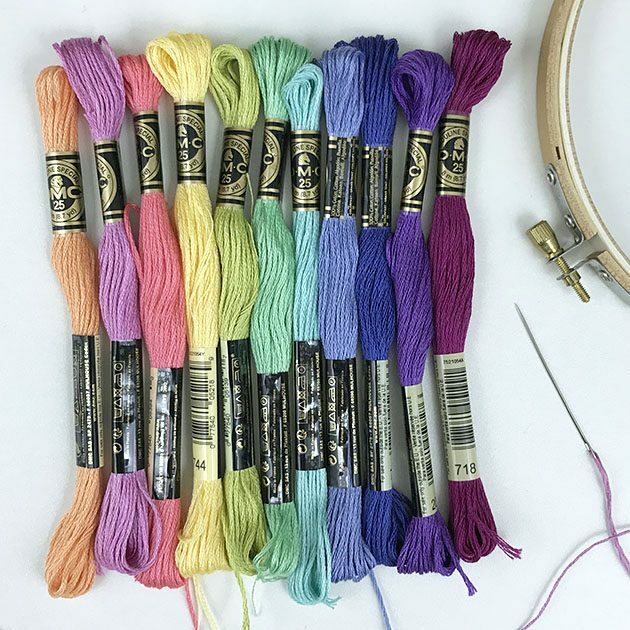 Are you familiar with perle cotton embroidery floss? Perle cotton is a non-stranded floss. It’s twisted and is meant to be used right off the spool. It comes in various sizes (thicknesses). My favorite brand is Wonderfil Specialty Threads by Sue Spargo. I like Eleganza size #8. The variegations are so gorgeous! 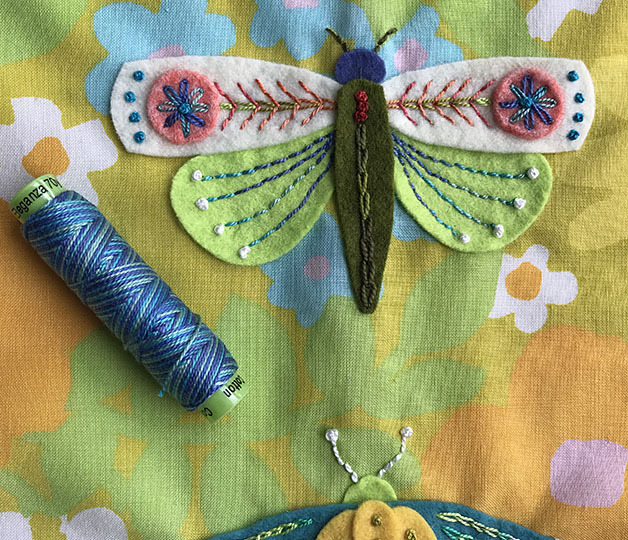 You can see how the blues shift in the stitches above, in the wings of the moth from my Summer Flies By Banner. The variegated colors are beautiful but so are the solid colors! The upside of using perle is that you don’t need to separate it. The downside is that to vary the thickness of your stitches you’ll need to buy different sizes of floss. What types of floss do you use and enjoy? How do you store your floss?